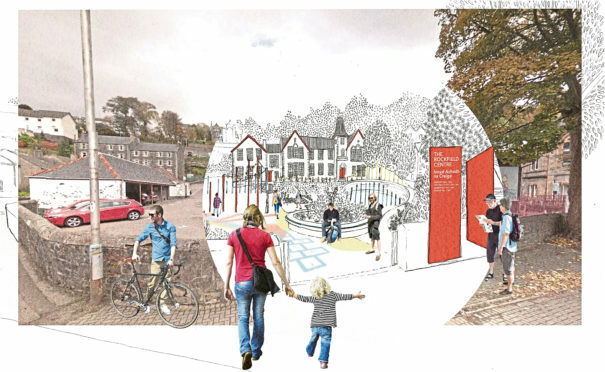 The conversion of an old school building in Oban into a £3 million community and cultural centre is among four projects around Scotland to feature in a new campaign aimed at delivering an £240m boost for the economy. The Scottish Government- funded Can Do Places initiative was launched in 2014 to help communities with low business start-up rates to widen access to enterprise by turning empty buildings into the equivalent of £500,000 turnover business hubs. Its team works with community groups, entrepreneurs, development trusts and business improvement districts to create places – usually from redundant buildings – for people to try out new business ideas, trade and work together. The new promotional drive aims to raise awareness about the scheme. An “Enterprise Mash-Up” bringing together communities, planners, politicians and agencies is planned and the Can Do Places website has also been relaunched. Can Do groups in Oban, Falkirk, Dumfries, Crieff and Alexandria will tell their stories as part of four specially designed “learning journeys” for community groups to share knowledge and expertise. According to Can Do Places, if every community in Scotland had one new place for 10 small and medium-sized enterprises, each turning over about £50,000 a year, it would equate to £239.5m in added economic value. Can Do Places director Iain Scott said: “There are hidden entrepreneurs all over Scotland who would love to start a business, but lack confidence or don’t know how. “You only need to look at Alan Sugar to imagine that business is all about sharp suits and pitching in boardrooms.